And you'll know what I mean by "food monger power." But my stomach couldn't let me wait for that few extra hours. There were tuna rolls, Philadelphia rolls, crazy rolls (really spicy, trust me, if Cindy Lo said it's spicy, that means it's hella spicy! 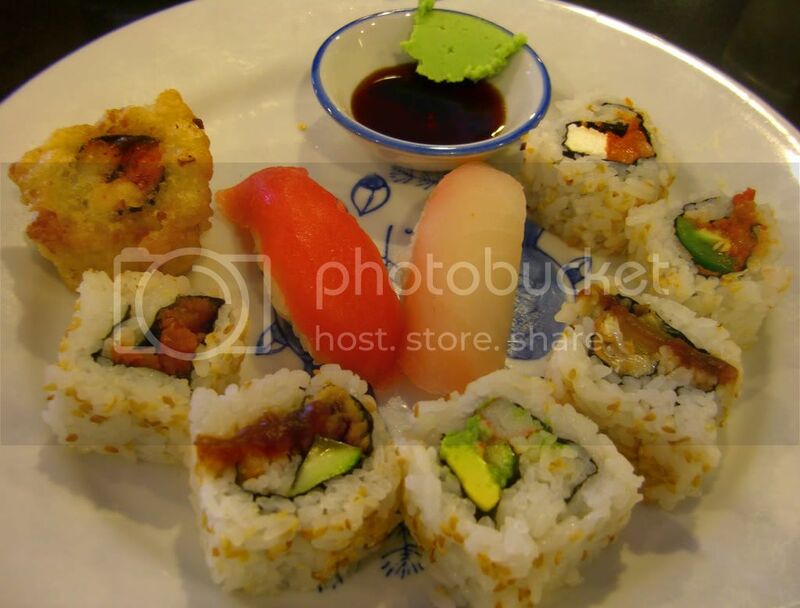 ), tilapia nigiri, maguro nigiri, etc. 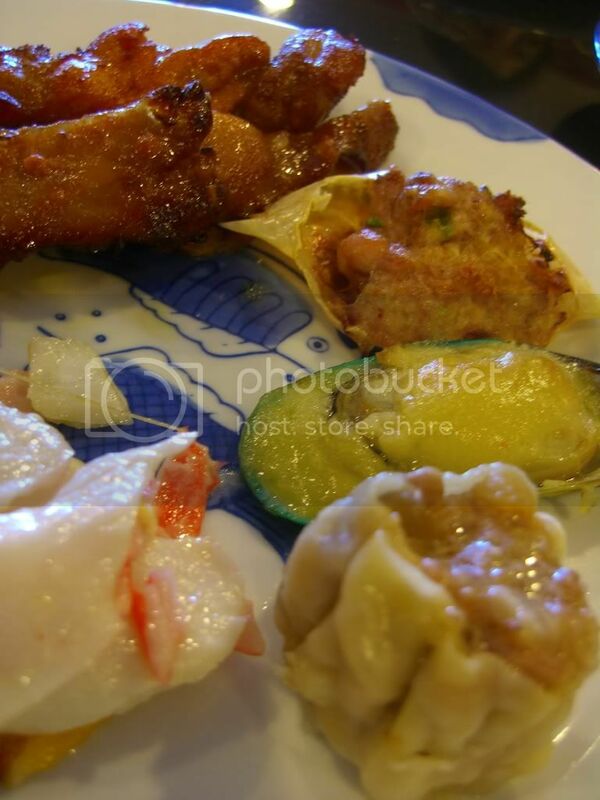 Chashu, satay, stuffed crab meat, baked mussel, shaomai, and cheesy stir-fried crab. 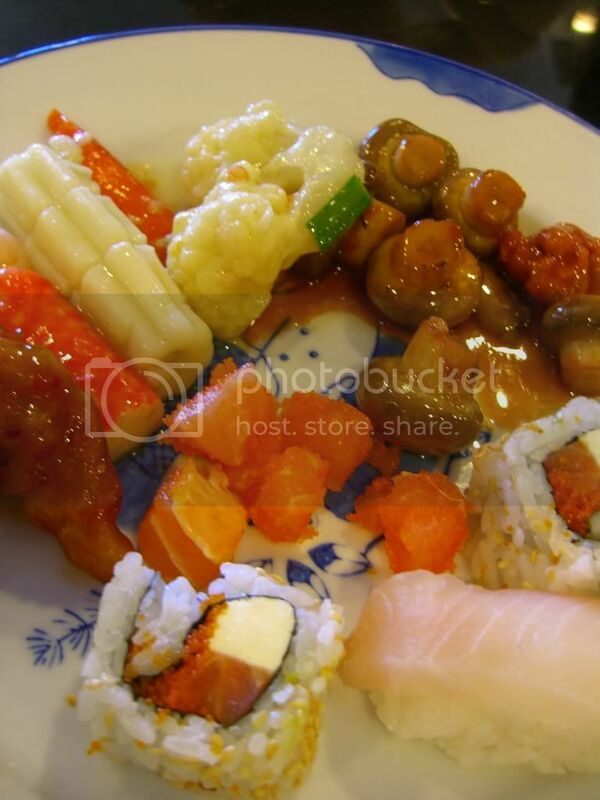 Assorted seafood, some veggies, more Philadelphia rolls (I love cream cheese), and one more tilapia nigiri. 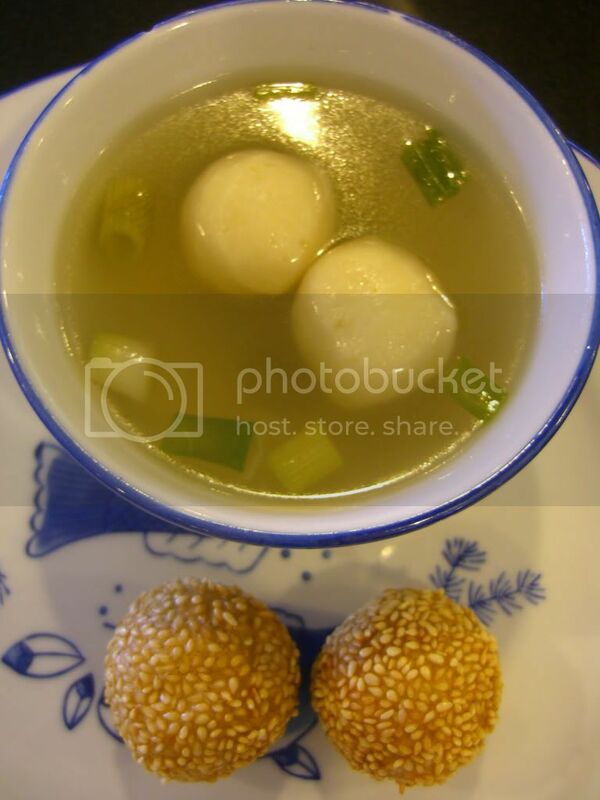 Fish balls soup and fried sesame balls with red bean filling. 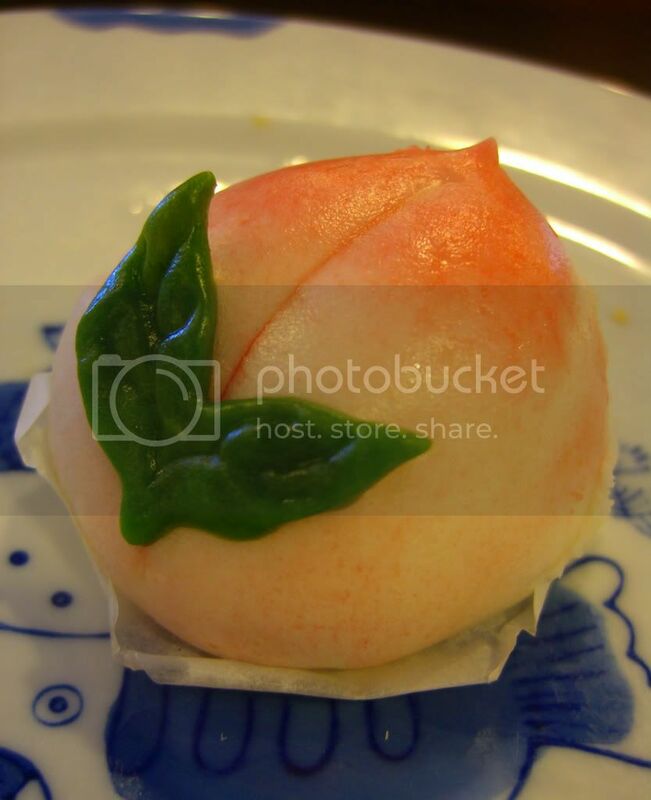 Peach-shaped dessert with red bean filling. 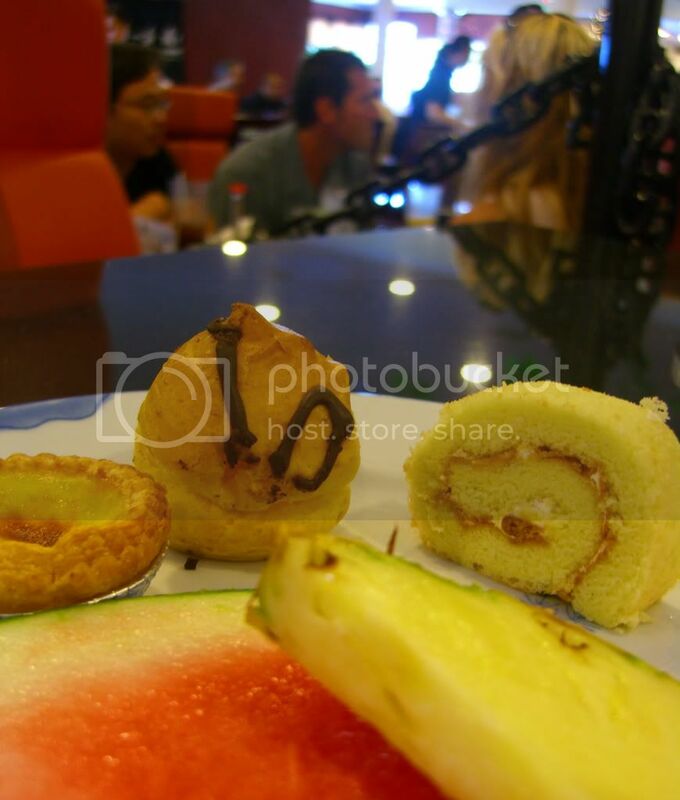 Portuguese egg tart, cream puff, Switzerland roll, watermelon, and pineapple. 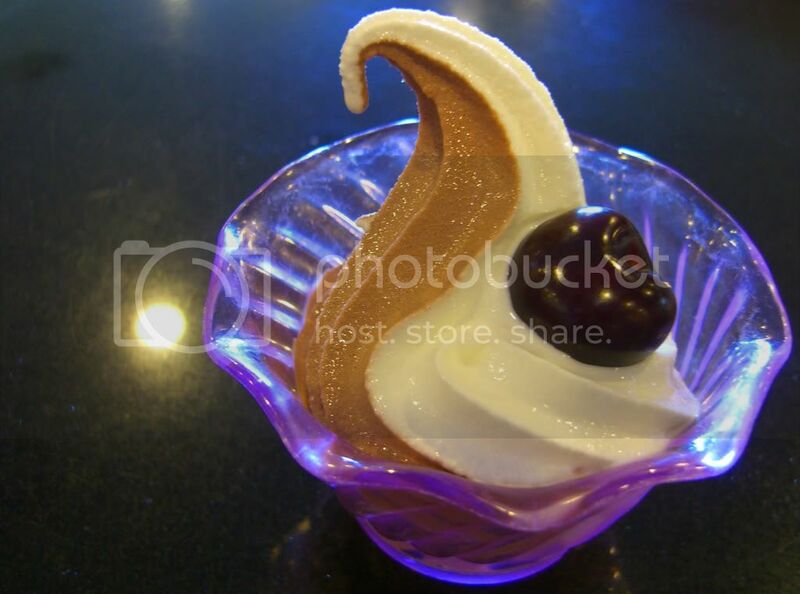 Mixed ice cream with one cherry. Did I mention about tofu pot for dinner? And Kahlua cake from my friend as late night dessert? 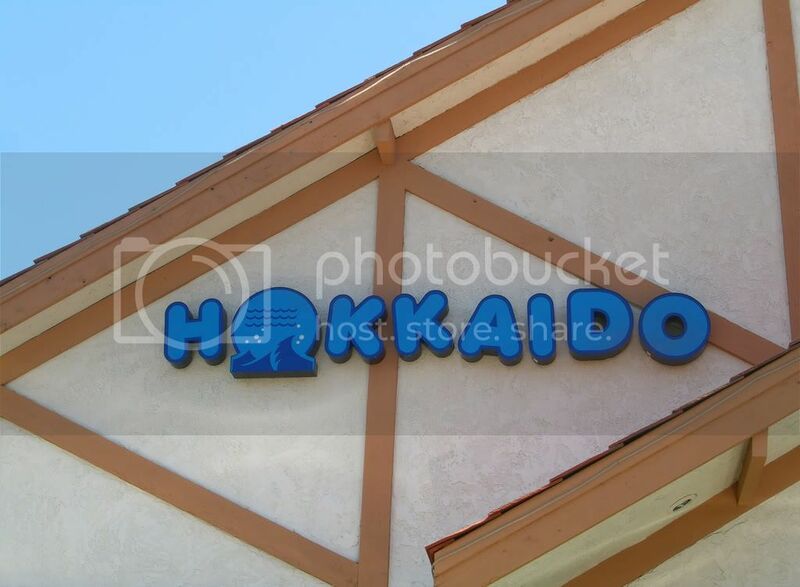 i was searching up food monger..and your blog came up. 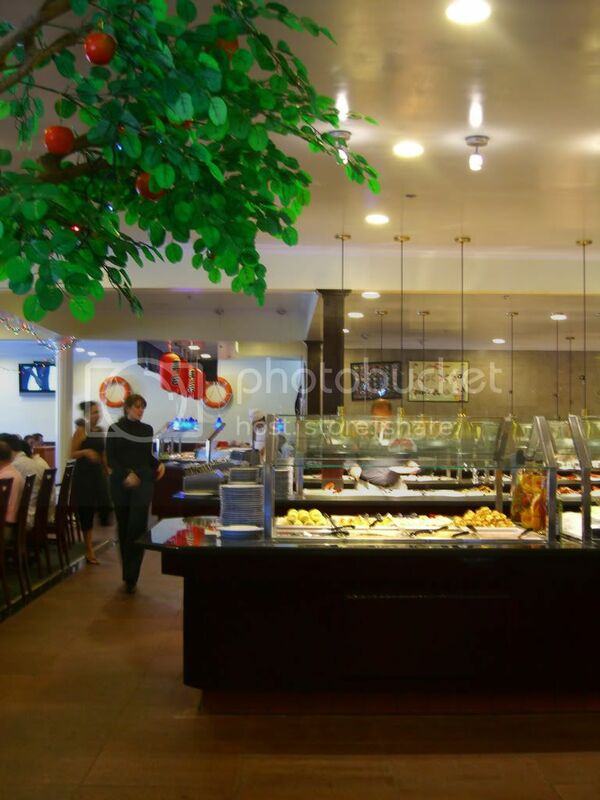 all that food looks delicious! !